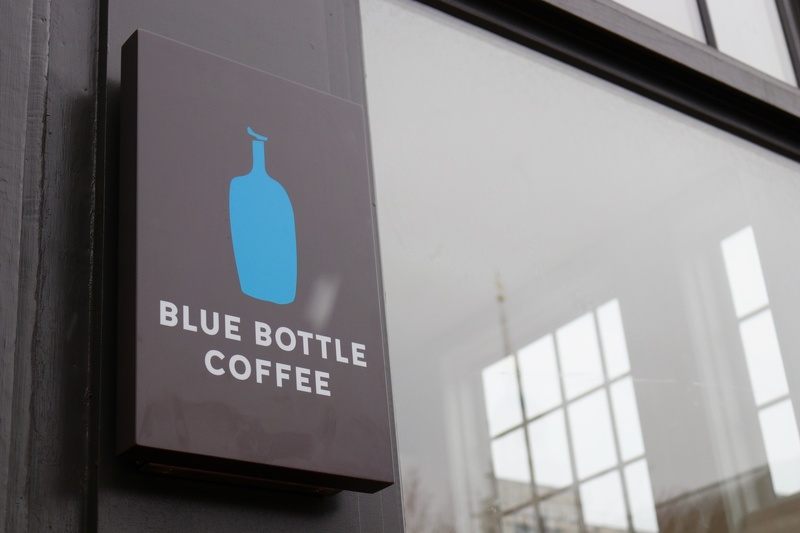 As one of the newest coffee shop additions to Harvard Square, Blue Bottle Coffee hasn’t solidified itself as a major hot spot on campus. Yet. From my observations, the trendy coffee joint is a meeting place for elitist hipsters and disgruntled students alike, serving as the perfect place to take aesthetic Instagram pictures. I settled down with a notebook, old-fashioned style, to record. As a vegan myself, the quality of almond milk is essential in determining whether a coffee shop is going to earn a place on my regular list. Is it on the menu? Plus one point. Homemade? Plus another point. Are there other non-dairy options in case I want to spice it up? Plus another… you get the idea. An ultimate mood. Something about the white minimalistic walls, blue and beige decor, and delicate plant arrangements creates an environment that demands cheeriness. Plus, compared to the dining halls’ coffee-that’s-about-as-effective-as-water, Blue Bottle’s is so robust it’ll dry your tears right up. With a serious dislike of country music myself, I’m not sure if I agree with this one, but I have to hand it to him. Feels a little weird calling an entire band a single artist, though. What is the context of this conversation? What does this even mean? I’m so confused. Boy, oh boy, was this conversation a wild ride. Two girls were engaging in a heated discussion as they took turns insulting their blockmate, taking sips of their matching lattes in between hard hits. Poor girl. I admit I actually laughed out loud at this one. It’s smashed avocado on multigrain bread, honey. It’s not that deep. Were these findings life-changing? Only if you really have nothing better to care about than the woes of elitist students trying to buy being cool. The conversations inside Blue Bottle are just the same as those everywhere else on Harvard’s campus, except everyone is armed with a $6 iced coffee.